Grab three ingredients and your crockpot, and you have dinner covered. 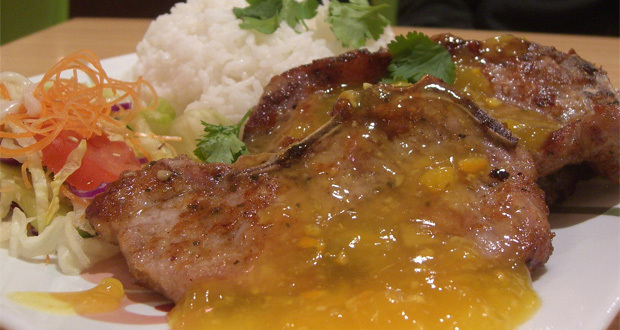 This Apricot Pork Chop dish will warm your heart on those brisk fall evenings. It also packs a protein punch which is one of the building blocks of body tissue, and fuel source. Place carrots at the bottom of slow cooker. Place pork chops on top. Spoon half of a jar of apricot preserves on top. Cook on low six to seven hours. Serve with mashed cauliflower and a salad.